So,you want to embed a video(movie) onto your blog.The process is very simple,even a dummie can do it.If you want to embed your original video,then first sign up for an account in youtube and upload your video and get the embed code. Otherwise,you can easily embed any public youtube video in your blog.Go to youtube.com and search for the video.For example,if you want to embed a britney spears video,search it and copy the embed code on to a windows notepad or anything else. The following process is explained below with pictures for easy understanding. 3.Sign in in to your blogger acoount and click the New Post button and next,select the option 'Edit html' as shown below and paste the html code as shown below. NOTE:You can change the width and height of the video by replacing the values to your desirable ones. If you have any doubts regarding to this post,feel free to ask it here via your comments. Thank you, this helped me solve my problem posting. Now...how do I change the height and width of the video? Hi, I would like to insert a YouTube video that opens in a different page on my site. My problem is that I have a post in which I talk about something, show something, tell the price, and then, I want people to watch the video from YouTube. I don't know how to link between the regular post and the HTML/Java element. How to have them both in my post ? I added YOUTUBE video in my blog; however, I was told that sometimes SEO reason it's not a good idea to put video in the blogger. Is that true? This is another very useful and helpful tip! Thank you. I would like to ask, how can I display a slideshow of pictures from my Picasa Web/Photobucket albums WITHIN the post body of my Blogger blog (blogspot)? And how can I get the embed code of a particular album/picture? I would appreciate so much if you could enlighten me about it. Where can I find my my blog? Your site has been most informative due to your step-by-step approach to directing where HTML's are inserted. Yours is the only one I can follow on line. I read blogs where the screen has an active animation (like falling leaves or snow) across the whole screen. I read your article on scrolling across the screen, but how do I take a .gif image and make several of the same iamge fly across or fall from the top of the screen seemingly at random? Again, kudos to you for keeping it simple. This information is great. Thanks! Okay...sorry for not being all that knowledgeable about webdesign or code....now that you've shown how to embed the YouTube video to a post...how do you also add text? Like if I wanna add a comment before or after the video...how does one do that? Could you post your reply to Dandy Abellanosa on July 30, 2008 2:13 AM about the slideshow??? I also would like to know how to write a paragraph and then put up the youtube video. New beta blogger makes it possible. But for old blogger your trick is excellent. I've tried to change the size and get two videos wide on my page.. But it doesn't actually adjust the size from You tube.. any clues? thanks! clear and concise, exactly what i wanted! Thanks for the great information. I see there are a lot of follow-up questions but I might as well throw mine into the pile: I did this successfully but why do I have to save the file to on notepad? Why can't we just copy and paste it? thanks in advance. Thank you for posting this blog help. I created my first ever blog and am learning as I go along. I will be reading your other helps. Thanks Again. interesting article good read thanks. when i click publish it doesnt do anything! how to put it in word press ? Hi.. regarding this post, well.. the video is apprear, the clips just play too slow.. the worse is.. no sounds at all.. why ? see my blog and tell what reason? I have an issue that when in the edit HTML mode, my body of the post shows a spinning update type wheel and won't allow anything. 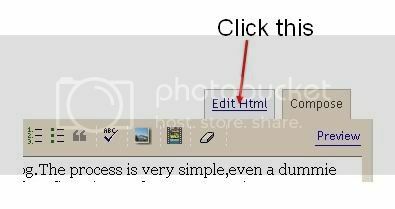 Then when I go into Compose, it does not show the Copy/paste option so I cannot paste into the blogger. In the past this was never the case, this has been occurring over the recent few months. Nowadays, many works that people do usually lead to the stressful life. Therefore, most of time people want to get rid of such stressful life. In such a situation they start searching internet. On the internet net there are many websites where you can watch many funny videos. These funny videos are really stress killing thing.